Would you like more savings? 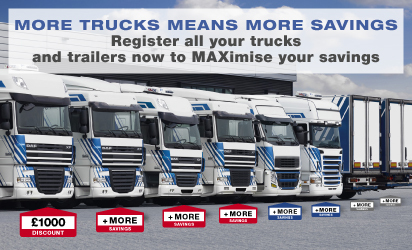 Then register your fleet! Enter the number of vehicles in your fleet and immediately see how much your savings add up to. *This total figure is calculated based on the number of vehicles you have entered here. No rights may be obtained from this calculation. Don't wait any longer: start getting the maximum savings from your MAX Card right now! Yes, I want to enjoy maximum savings and register my fleet, but I do not have a MAX Card yet. Click on the 'Apply' button below and register your vehicles straightaway. Yes, I want to enjoy maximum savings and register my fleet, but I have not activated my MAX Card yet. Click on the 'Activate' button below and register your vehicles straightaway. Yes, I would like to start enjoying maximum savings with my activated MAX Card straightaway. Enter your e-mail address and password below, and click on the 'Log in' button to register your vehicles now.